A fall exhibit of Omar Rodriguez-Graham’s work at the Korn Gallery and an October anniversary party at the Salmagundi Art Club in New York marked the program’s first half century of nurturing young artists. 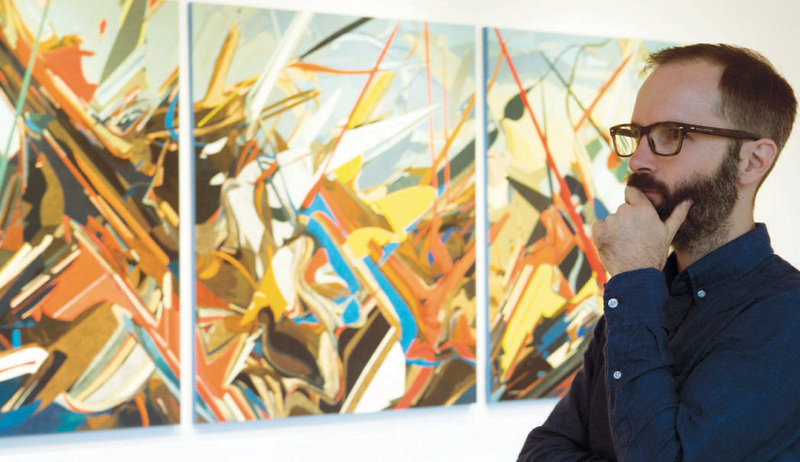 Omar Rodriguez-Graham C’02 spent much of his boyhood in the Mexico City studio of his father, Oscar Rodriguez, absorbing the “visual language” of art and “making brown messes of paint.” Still, it wasn’t until he was a junior at Drew—and an erstwhile physics major—that he pivoted to art as a career. “To be honest, my art world education really did start in the New York Semester,” says the artist, whose paintings are held in private and public collections around the world. 1969 – Lee Hall led the program in its early years; she died in May. 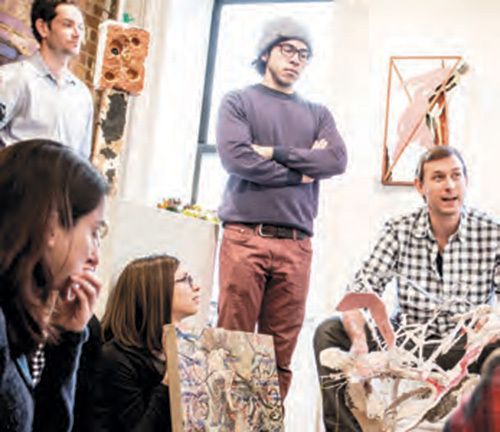 Now in its 50th year, the New York Semester on Contemporary Art—like Drew’s other longstanding semesters on Wall Street, the United Nations and Communications and Media, as well as its brand-new semesters on Social Entrepreneurship and New York Theatre—immerses students in a real, thriving professional ecosystem. Required for art and art history majors, but open to all Drew juniors and seniors, this “very adventurous and nomadic program,” as director Kim Rhodes describes it, entails train rides into Manhattan and two or three visits a day at galleries, museums, auction houses and ateliers. The semester was the brainchild of the late Lee Hall, who, as head of the art department, enlisted famous friends, including Elaine de Kooning, to serve as program advisers. 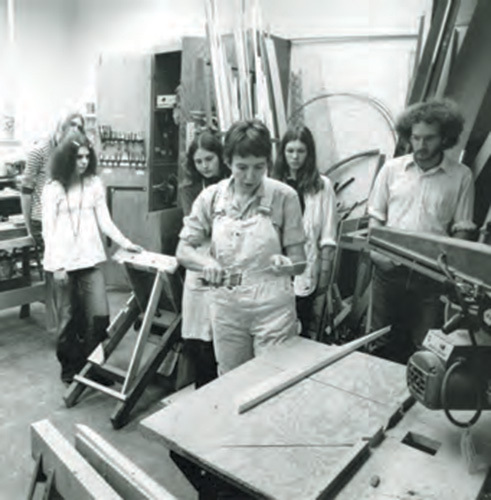 Rhodes estimates that 500 artists, gallerists and other art world luminaries have welcomed students into their workplaces since the program began in 1967. 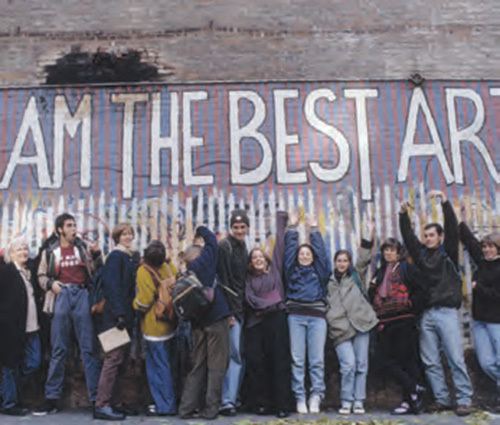 1994 – Students hit the streets of SoHo during its art-haven heyday. The experience nurtures students’ artistic vision while providing insights into the nuts and bolts of making a living through creativity. It’s also “a street-up experience of the art world,” says retired art professor Sara Henry, who directed the semester for many of her 31 years at Drew. “Art is not only about art. It’s about our contemporary culture.” Artists, she says, learn to absorb the roles of empath, critic and visionary. Rodriguez-Graham remembers the semester as being filled with lessons big and small, learned at the elbows of working artists like collagist John Powers. Among them: Don’t show up at a gallery just trying to sell your work. Make sure your studio’s not some dingy hovel and always have snacks or coffee to offer your guests. Be generous in every way you can, including about your own creative process. 2014 – Artist House Party Presents is among the galleries big and small that have opened their doors to Drew.